AUGUSTA, Maine — As they fight a regional heroin epidemic, Gov. Paul LePage and his New England counterparts called on Congress to ease access to addiction treatment on Tuesday. It reflects bipartisan agreement on perhaps the biggest issue facing New England: Maine saw 105 overdose deaths in the first half of 2015, and in August, the White House announced a plan to combat heroin that made New England a priority area. In letters Tuesday to members of Congress, the governors of Maine, New Hampshire, Vermont, Massachusetts, Connecticut and Rhode Island said they support the TREAT Act, which would expand access to buprenorphine, a drug branded as Suboxone and used to treat addiction to heroin and other opioids. The bill would allow practitioners to initially give drug-assisted treatment to 100 addiction patients per year — up from the current limit of 30 — and allow for removal of the limit afterward. It also would allow certain nurse practitioners and physician assistants to manage treatment. It’s unclear how many Maine doctors prescribe Suboxone: The state has said more than 300 are licensed to and a federal list says 139 are, but earlier this year, graduate students at the University of Maine found that many on that list weren’t prescribing it. Still, the bill lays out “the single most significant step” toward increasing Suboxone access, said Gordon Smith, executive vice president of the Maine Medical Association. It comes as the Maine Legislature advances a $4.8 million plan to boost drug enforcement, education and treatment efforts. 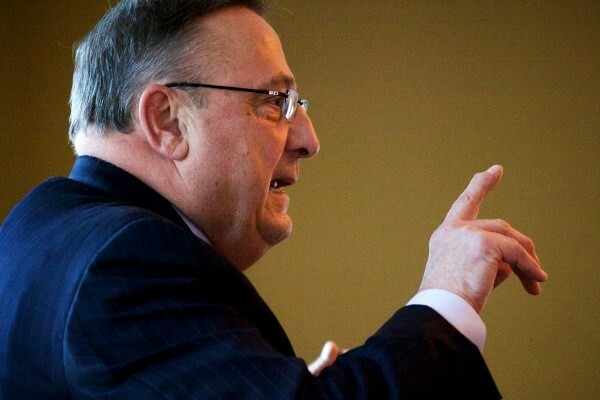 Just before legislators convened a news conference to roll out that plan last week, LePage said he’d sign a financial order to hire 10 more drug agents — something he had been urging legislators to green-light for months. The Republican governor has been criticized by Democrats and advocates for focusing on enforcement over treatment in the past. He drew heat after proposing phasing out state funding for methadone treatment in favor of a shift toward Suboxone earlier this year.